We used ID theft as an example of ” Technology, Has It Taken Away Our Consitutional Rights?? ?” The research was conducted produced information from the Aftermath, Study, theft resource center. 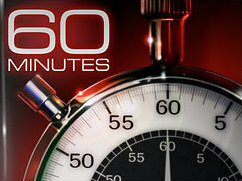 Sunday, February tenth, CBS 60 Minutes and 60 Minutes Overtime aired a segment relating to tort activity by all the major credit reporting agencies. The problem is bigger then we posted. 40 million seem to be the correct static of Americans consumer affected. They also confirmed no one is being held accountable. Lives are being ruin daily. Whang Communication Production background is based on freelance work following the old rules in journalism. Posting must be evidence based. Thanks for stopping by and continued good health. ← Technology, Has It Taken Away Our Constitutional Rights ?????? Can I just say what a relief to acquire a person who basically knows what theyre talking about on the web. You certainly know methods to bring an concern to light and make it imperative. A lot more consumers need to read this and have an understanding of this side of the story. I cant think youre not even more favorite given that you surely have the gift. I’d have to check with you here. Which just isn’t some thing I in most cases do! I get pleasure from reading a post that will make people today think. Also, thanks for allowing me to comment! pdynqxibohdpnnvojdbujpoqspevdujpo, Des casinos en ligne, IIHanwc, [url=http://wiredearthblog.com/]Casino en ligne[/url], pmdUDfr, http://wiredearthblog.com/ Bonus casino en ligne, lSgteYW.